A basic understanding of TypeScript and Node.js is needed to follow this tutorial. In this article, I will show you how to simply add realtime functionality to a Nest.js application by leveraging the powerful features offered by Pusher. Nest.js is a sever-side Node framework which leverages the power of TypeScript. It’s progressive and scales with whatever size of project you throw at it. What we will build in this article will keep you acquainted with the essential building blocks of a Nest.js application. And you can easily improve on this and explore some other structures and architecture of Nest.js. Nest.js focuses on solving the issues of Architecture on the server-side. According to the documentation here, Nest.js aims to provide an applications architecture out of the box. This will allow developers to seamlessly create highly scalable, loosely coupled and easily maintainable applications. Modules: The @Module() decorator provides metadata, which Nest uses to organize the application structure. Controllers: The controllers layer is responsible for handling incoming requests, and return a response to the client. Components: Almost everything is a component – Service, Repository, Factory, Helper [...] and they can be injected into controllers or into other components through constructor. We are going to create a very simple commenting system, where a user can post comments and see the posted message in realtime. To simplify things, there won’t be any need to persist posted comments into the database. We will basically emit an event with added comment(s), subscribe to the channel and update data in realtime. Nest.js is basically a Node.js appplication and, as such, it will require Node and NPM to install the required dependency. Download Node and Npm here. Register for a free pusher account, if you don’t have one already. 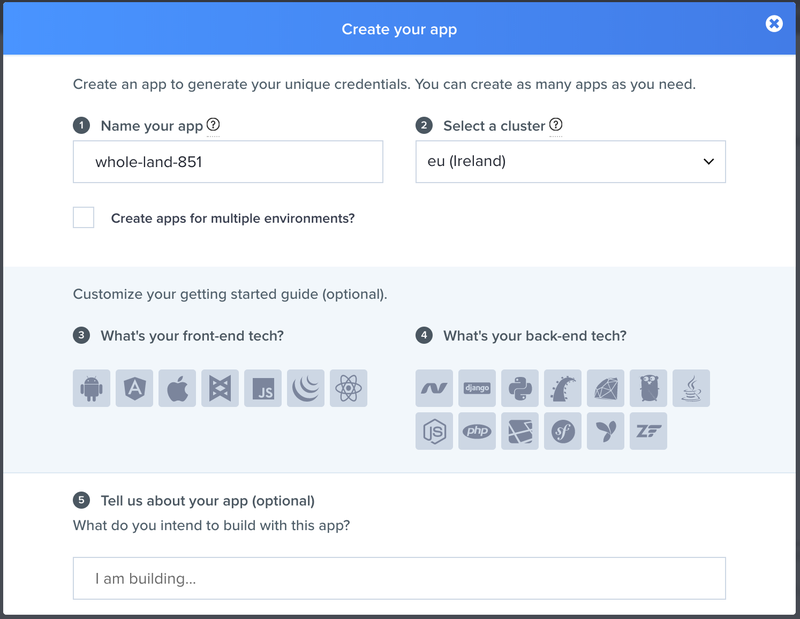 Then go ahead and create an app from your dashboard and copy out the credentials as you will be required to use them later in this tutorial. Controllers in Nest.js are responsible for handling incoming HTTP requests and returning a response to the client, just like every other HTTP framework. The starter project we just downloaded has a controller already created within ./src/modules/app.controller.ts. For the purpose of this tutorial, we will create a basic controller to handle the necessary requests for our application to function as specified. To have a proper folder structure, create a new directory for comments ./src/modules/comments. In the code above, we only imported modules necessary to create a basic controller for a Nest.js application. The metadata attached to the class allows Nest.js to know how the controller needs to be mapped to the appropriate routes. To do this, we are using the decorators @Controller('comments') , where comments represent a prefix for each route registered in the class. Also a CommentService class was imported and injected into the controller through the constructor. This service is a component in Nest.js. It handles any complex tasks instead of them being handled by the controller. We will create this service in a bit. Components are plain TypeScript class decorators. It plays, amongst other things, the role of abstracting the business logic away from the controller. To configure our application to use EJS, we imported Express and created an instance with the name server. This was use to set EJS as the view engine as evident from the code above. By default the NestFactory``.create() method takes an Express instance as a second argument. This is deliberate as Nest.js allows developers to have full control of the Express instance life cycle. The code imports Vue, Pusher, and Axios. Vue will simplify how we interact with the DOM while the Pusher client helps us to connect with our Pusher instance on the server. Axios will be used to send the HTTP Post request to the /comments endpoint. As you can see, the created lifecycle method listens for changes and updates our DOM based on the new comments emitted by the server. The submitComment method is triggered every time we submit the comment form. It uses Axios to send the comment payload to the server. This basically renders the content within index.ejs. It contains a header bar and form to post comments. Now, you can post a comment and see it updated in realtime. 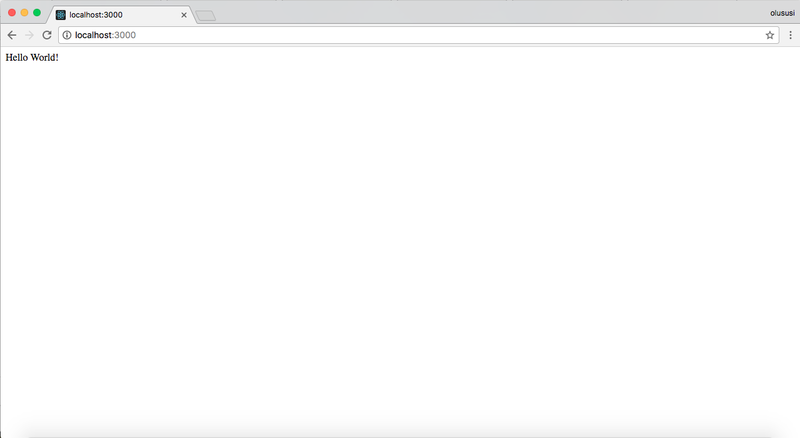 Nest.js introduces a new approach to building web applications in Node.js. The usage of TypeScript helps to manage and create a properly structured application. As we saw in this article, with the help of Pusher, we were able to add realtime functionality to Nest.js. The source code for the app can be found on GitHub.